Folding glider made of foam polystyrene, span 610 mm. Collapsible glider made of expanded polystyrene with a two-piece wing and removable horizontal surface. 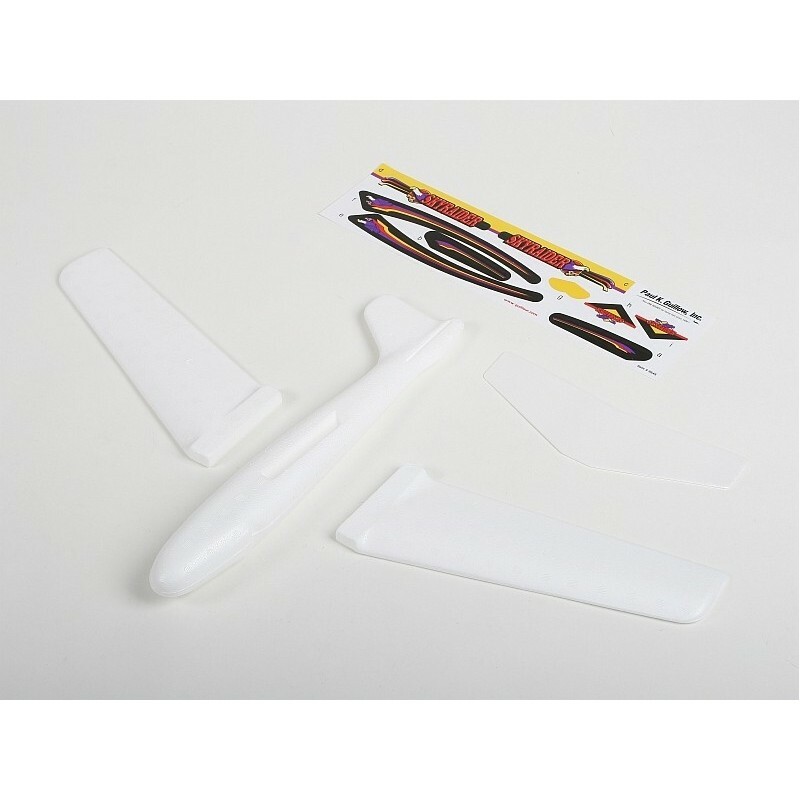 Kit includes: moldings fuselage halves of the wings and horizontal tail surfaces of polystyrene foam and a sheet of stickers.